Archangels were prominent in Romanesque iconography, acting as intermediaries between God and Man or as agents of divine will. 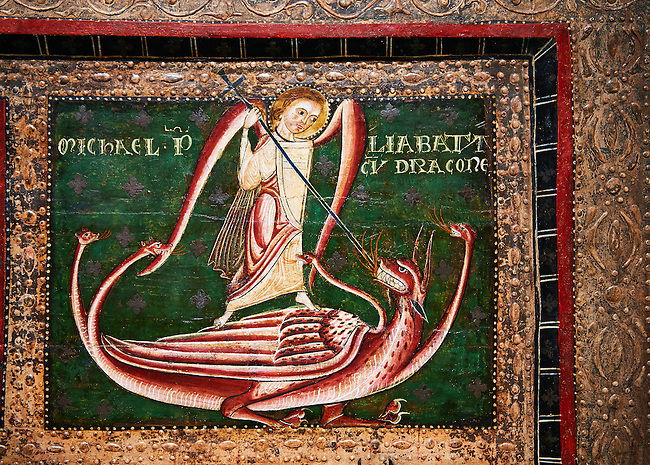 This panel shows Archangel Michael fighting a dragon. The style of the painting is the similar to the mural decoration of St. Paul Casserres.